P2P group has released the updated version of “IP Hider Pro”. One of the most popular IP changing softwares around. 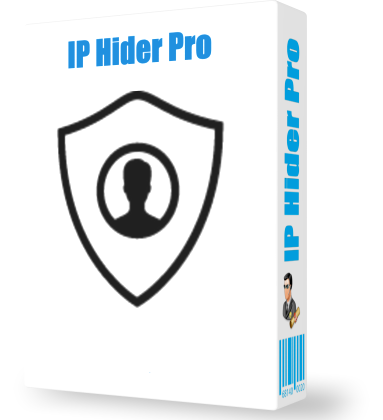 Description: IP Hider Pro is a professional software used to hide your IP address so that you can hide your internet traffic and the real location while surfing the web. The best IP Changer software makes nobody know what you do on the internet. IP Hider Pro provides government-level safety factor, so you are assured of freedom anywhere on the web without worrying about any of the information leaked. Feel free to post your IP Hider Pro v5.3.0.1 Incl. Crack – P2P torrent, subtitles, samples, free download, quality, NFO, rapidshare, depositfiles, uploaded.net, rapidgator, filefactory, netload, crack, serial, keygen, requirements or whatever-related comments here. Don't be rude (permban), use only English, don't go offtopic and read FAQ before asking a question. Owners of this website aren't responsible for content of comments.